There used to be a large sign on the northern side of the town of Cooma near the Australian snow fields (yes, there is some snow in Australia, sometimes) which read: “Cooma: Gateway to the Snowy Mountains.” I remember the excitement I felt as a child passing through Cooma on the way to our annual holiday in the Snowy Mountains. My entire body would tingle with expectation as I wound down the window and felt the chilled mountain air streaming across my face. It is one of my most potent early childhood memories. And I still do it today. This childhood sense of anticipation, however, is nothing compared to the excitement of ancient Jews as they streamed toward Jerusalem for the annual Passover festival and arrived at the town of Bethphage—“gateway to the holy city”—just a few kilometres from Jerusalem. Once pilgrims made their way up the road from Bethphage to the top of the Mount of Olives, they would be greeted by a magnificent panoramic view of the holy city, just a kilometre or so away. At the front of their view was the huge Jerusalem temple, a site approximately the size of today’s largest football stadiums. The temple was the centre of Israel’s national and religious life. This was where God chose to dwell, according to the Hebrew Scriptures; it was where sacrifices for the forgiveness of sins could be made; it was where the country’s leading teachers could be heard in the vast temple courts; it was where pilgrims gathered in tens of thousands, especially at Passover time, to sing and pray to the one true God. For the devout Jew, arriving at the crest of the Mount of Olives and looking down at the temple of God must have stirred up extraordinary feelings of national pride and spiritual awe. At first sight, this is a bizarre statement: Jesus’ body, crucified and raised, is the temple! However, this is not the first time Jesus has identified himself with the temple. The theme emerges a number of times in the Gospels. We get hints of it every time Jesus hands out divine forgiveness to people. In first-century Judaism, only the temple priests could pronounce forgiveness, and, even then, only after the appropriate sacrifice had been offered. This is why, after Jesus forgave the prostitute at the home of Simon the Pharisee, as discussed in the previous chapter, the guests murmured, “Who is this who even forgives sins?” (Luke 7:49b). Jesus handed out forgiveness whenever anyone humbly approached him. He acted like a mobile temple. The logic goes like this: priests are exempt from the Sabbath law when working within the precinct of the temple; how much more then are the disciples exempt when working in the vicinity of the Messiah. Jesus, according to these words, is more than the temple. This is an extraordinary statement in its first-century context. When Jesus rode into Jerusalem, entered the temple and declared its ministry bankrupt, he was not acting as a mere religious radical. According to the witness of the Gospel writers, he was acting as God’s replacement temple, or, perhaps more accurately, as the reality to which the temple pointed all along. 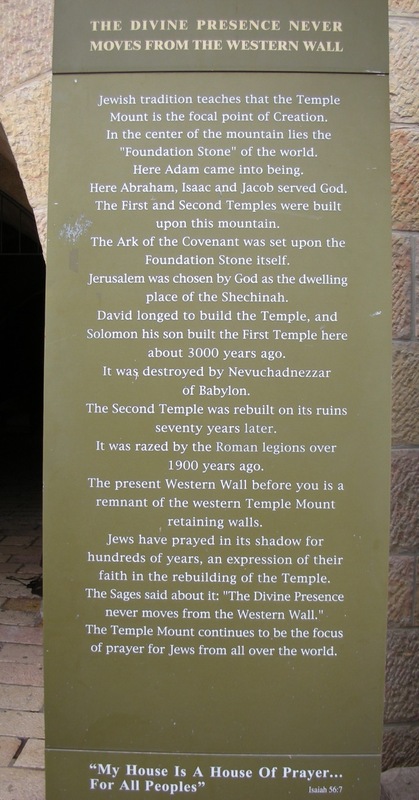 All that the temple had meant for Israel for almost one thousand years was now to be found in Israel’s Messiah. The presence of God which human beings so longed for was to be found through a personal connection with Christ, not in a building in East Jerusalem. The hunger for divine teaching could be satisfied, not in the courts of a glorious sanctuary, but by feeding on the words of Jesus. True “pilgrims” could henceforth declare their praises, not within the walls of one sacred building, but wherever people gathered in honour of the Messiah. And forgiveness of sins could be enjoyed through the one priestly sacrifice of Jesus, not through priest and sacrifice. The Jerusalem temple was eventually destroyed some forty years after Jesus’ death, when in August AD 70 Roman troops stormed Jerusalem to end a bitter five-year rebellion. Of the few remains of the temple is a 50 or so metre long section of the western wall, called the Wailing Wall. Modern Jews congregate there to this day to cry out to God for the promised messiah and for the restoration of God’s holy sanctuary. 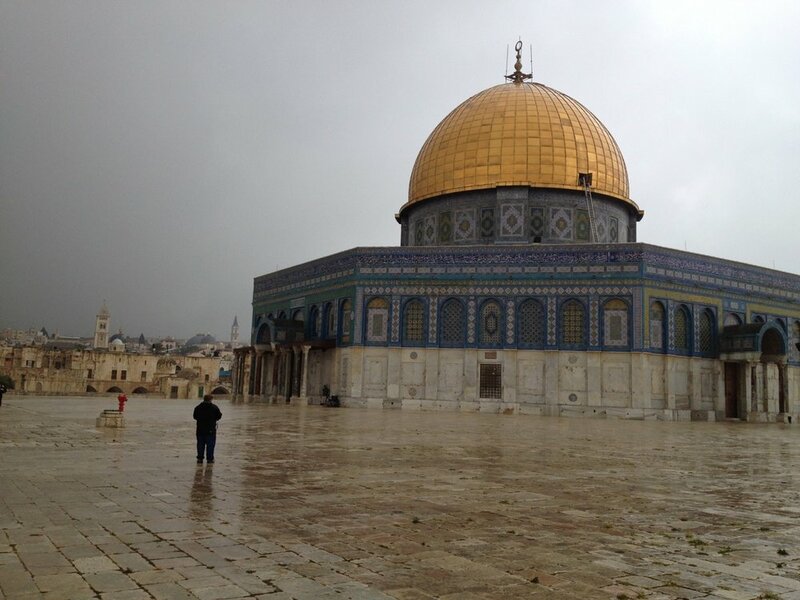 Unfortunately (from the Jewish point of view), standing where the temple once stood is the Dome of the Rock, the oldest existing Islamic monument in the world, built around AD 690. This spot is the world’s most hotly disputed piece of real estate. From the point of view of the first followers of Jesus, the temple was really overthrown and replaced around AD 30. From the time of Christ’s death and resurrection, said the early Christians, a new temple was established for all nations. All who want to locate the Creator’s presence, learn his teaching, and enjoy his forgiveness can do so simply by embracing the Messiah, the new temple. This is an excerpt from chapter 9 of A Doubter's Guide to Jesus - out now.